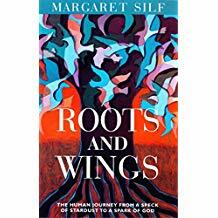 I’ve come upon Margaret Silf’s book, Roots and Wings, a series of short meditations which explores life from the Big Bang to the present. She sees the possibilities of an evolution from a world of fear and survival to one where love and discerning choice is our guide. No pie in-the-sky idealist, she is not convinced that a better would will automatically evolve unless we individually play our part in making it happen. I read this book long before I developed my current interest in writer Thomas Berry and they are unlikely to have ever met. But her Jesuit roots intersect well with his Passionist ones in love of and concern for the environment.